Photos and Information from the Starlight Cruise in St. Petersburg. This is the romantic sunset cruise. The cruise lasts about 2 hours and included food and an awesome view of St. Pete. For Couples in love. One of the many awesome things to do in St. Petersburg. This is the Starlite Princess which has a 2 hour sunset cruise. Very romantic dinner while seeing the sunset. 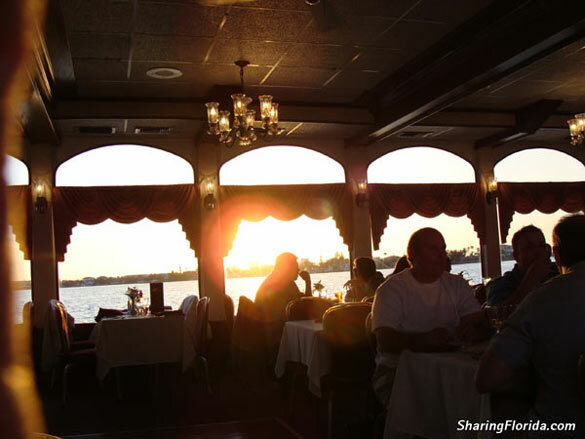 This is the riverboat – Starlite Cruises also has the StarLite Majestic in Clearwater. Includes live music.